Hello loves! I would like to WELCOME everyone to my new blog look! This is what I fondly call, Mommy Practicality Version 2.0! I have written in one of my posts last January about “Investing In What You Love”. This is what I was talking about loves, the NEW and IMPROVED Mommy Practicality. She has been the infamous face of my blog since I started and has been endearing to you my readers and followers. For those who know me personally, you know very well that the iconic avatar represents me very much. The microphone is a symbol of my love for singing, long hair, big eyes, usual attire (I love wearing pants because it’s practical), the building background is my everyday scenery in Makati as a career woman and of course the carriage that says that I’m a mommy. Before arriving at the final branding and design, I went through a thorough and helpful blog coaching with Martine De Luna. 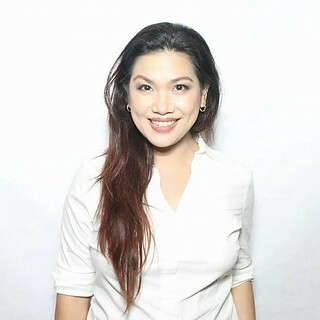 Martine is the editor of Make It Blissful (formerly Dainty Mom) and has been doing branding and blog coaching for small businesses and, of course, bloggers who want to launch their brands/blogs more professionally and meaningfully. She helps her clients zoom in to what they really want, what their mission is and what they write about, so that there is ONE STRONG VOICE and TONE that their consumers/readers hear. I’m thankful to Martine for helping me with the re-branding journey. 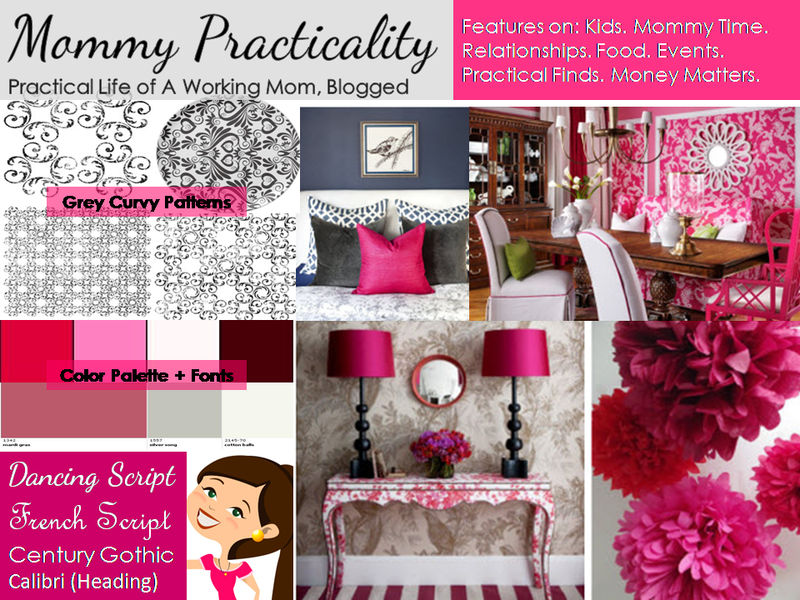 Mommy Practicality’s new look incorporates things I love and represent, in a more professional, cleaner and organized way. The Victorian Arc is something I fancy since I was a child. It represents the QUALITY of life that I aspire to have for myself and my family. The Fuchsia font for my titles represents a Strong yet still very Feminine Woman in me, who always stands for women empowerment. Instead of the previous grey background, now it’s cleaner and more organized with a lot of breathing WHITE spaces. 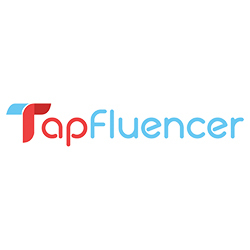 With that, you’ll get a more pleasurable reading experience for your different gadgets: laptops or mobile phones. 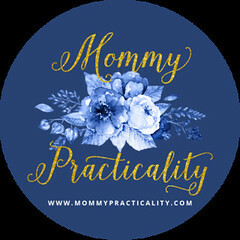 Practical Mom – Talks about anything and everything about practical but beautiful motherhood. Practical Parenting- Talks about practical tips on how to raise children. It also features my special moments with my children. Party Practicality – Talks about practical party planning, throwing a great party with a budget and also the events that I’ve been to. Foodie Practicality – I love eating! This features the restaurants we’ve dined in and my reviews as well. 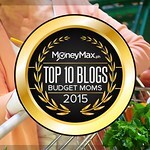 Money Practicality – Talks about budgeting and anything related to saving and earning extra money – a very important tool for us practical moms! Practical Finds – Talks about my practical shopping finds. 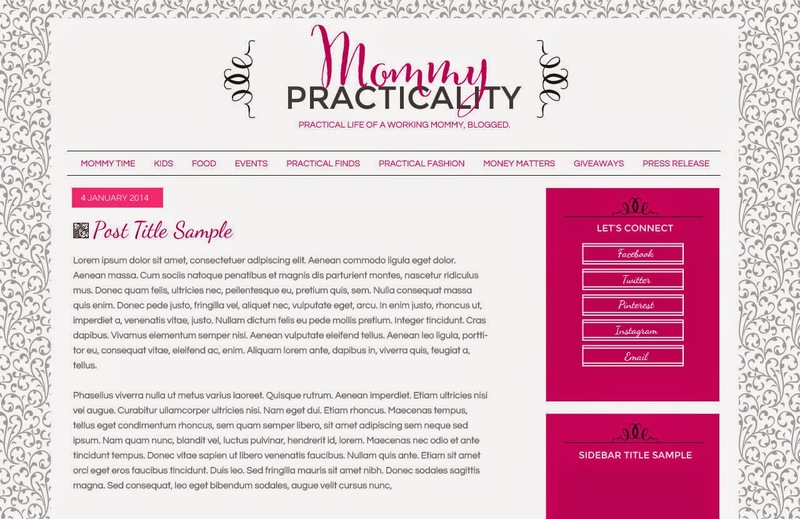 So loves, hope that Mommy Practicality’s new blog design also warms into your hearts just like how my old design did. Say HELLO to the new Mommy Practicality! Don’t worry, it’s just a NEW LOOK, but it still has the OLD HEART! ~ What Do You Think Of The New Look Loves? I love the new design. It's cleaner and fresher. I also asked my web designer friend (hmm I think it was last January pa) to change the look of my blog, and I am still waiting for the new design (sigh). I hope she will finish it this month na. Congratulations to your blog's 'new look!' It is indeed a major 2.0 revision which makes your blog more enticing, more feminine with cleaner look, minimalist but yet pleasing to the eyes. I like he vintage touch of it! I also like how blog posts are categorized now. Good job! I am happy that you made it this far. Cheers to you new website and the future milestones ahead of you. This is a nice theme. I just changed mine too and I have Wordpress platform. I believe when choosing blog theme, it should be based on what we write about and express our personalities and i like your theme. It looks fabulous! and chic! Congrats!